In March of 2019, IPC's Rev. Mike Malone, Bryan Hawkins, and Rev. 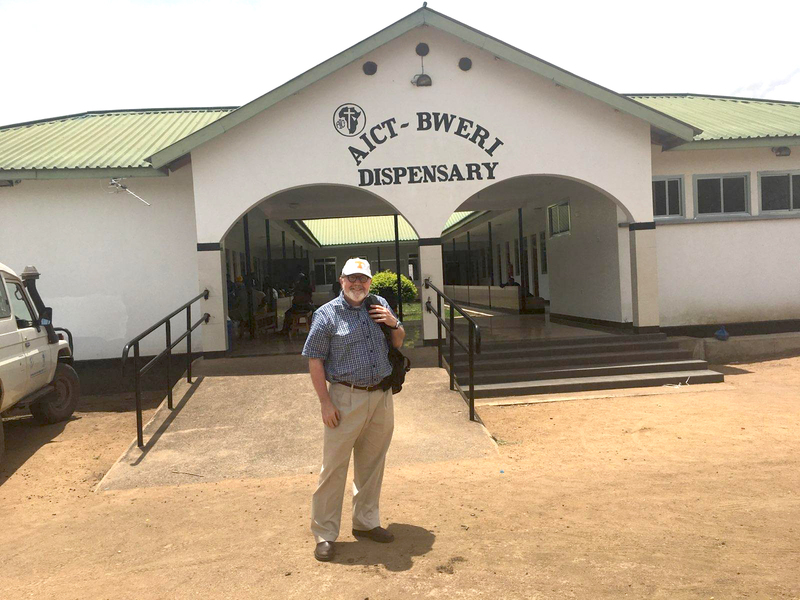 Robert Browning, joined with a team from McLean Presbyterian Church of Virginia to travel to Tanzania to meet with the new Bishop of the African Inland Church–Tanzania, to monitor the progress of previous water well projects, and to plan for the 2019 Pastors Conference of the African Inland Church to be held in July. CLICK HERE to view Robert Browning's short video summarizing their trip. 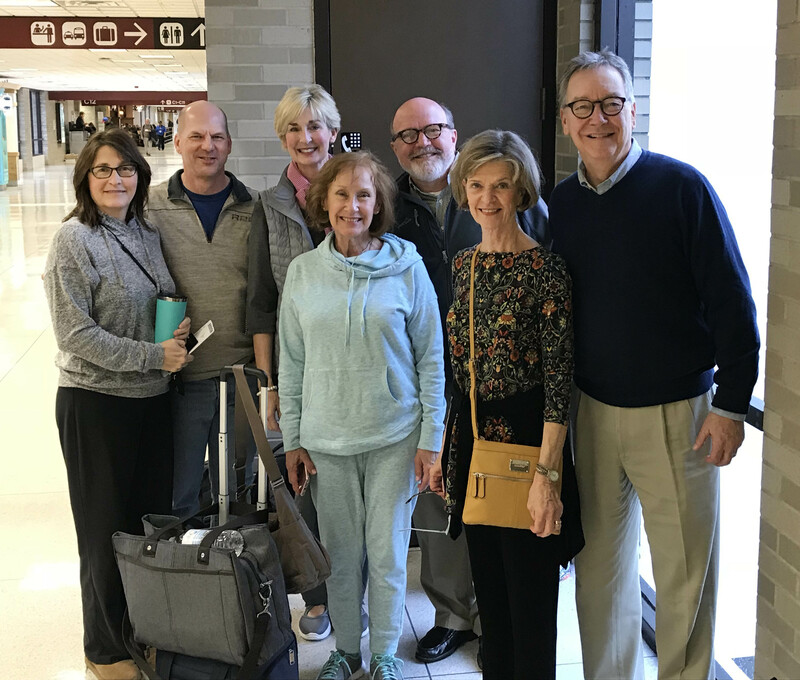 Mike Malone and Matt Buyer departed Friday, July 27, for Africa, where they taught at a Pastors Conference in Musoma, Tanzania, returning August 7. You can read Mike's blog below. Matt Buyer and I arrived in Nairobi Kenya early Sunday morning, local time. The time difference is eight hours between here and Memphis. We had a delay of three hours leaving Amsterdam, but all in all it was a good trip and uneventful. The day yesterday was spent resting and studying for the conference. We spent a good bit of time with the members of our team who have come from Memphis and who are staying in Nairobi as well. The attached picture is of the Mayfield Guest House where I have stayed multiple times. It is a bit of an oasis in a large, and frankly, dirty city. The gardens are lovely and great for reading, prayer and reflection. We leave shortly for Tanzania. 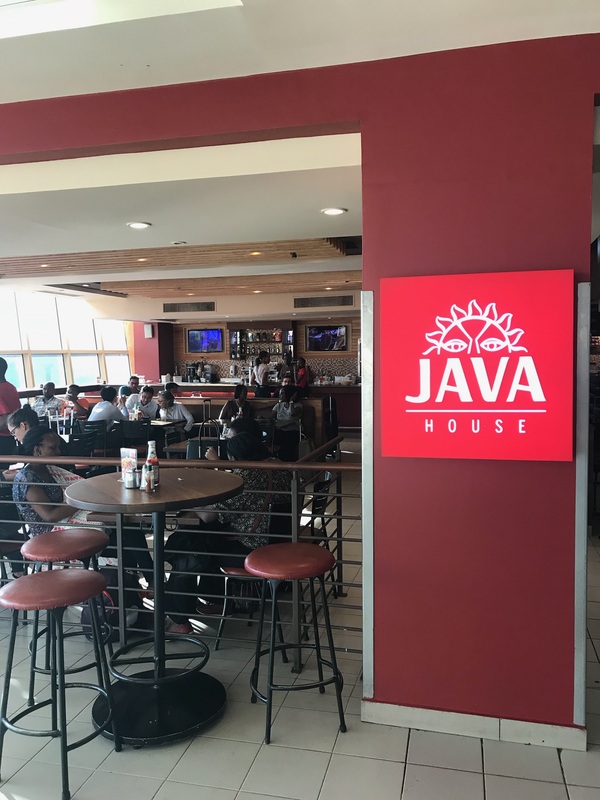 Our flight is at 8:00 a.m. We pass by Mount Kilimanjaro, touch down briefly at Kilimanjaro International Airport, then head west about an hour and a half to Mwanza, on the south shore of Lake Victoria. If all goes well, we will be on the road to Musoma, TZ, and ought to arrive by 5 p.m. Thank you for praying for us. We covet that. As you pray, ask God to be present by His Spirit during the days of the conference. Over 400 pastors and wives will be in attendance. Pray the same for the retirement celebration for Bishop Peter Kitula. Peter is leaving his post after nearly 25 years of leadership. He is a remarkable, humble, wise and passionate man. He is the most godly man I have ever known. 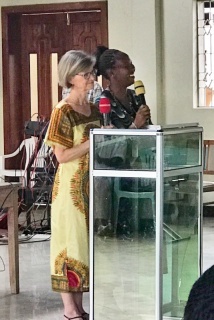 It has been a privilege to serve him over these years by leading this conference for pastors and wives, and raising funds for water projects and the medical clinic. God Bless You All and THANK YOU FOR YOUR PRAYERS! I am grateful to say that we have arrived safely in Musoma, Tanzania. It is a long way from home, but we have had good connections, a minimum of challenges, and await a well-prepared meal at the Mara-Paradise Hotel! Tomorrow is a day to catch our breath and prepare for the conference, which begins on Wednesday. Our short stay in Nairobi at the Mayfield Guest House was rewarding, as is always the case. 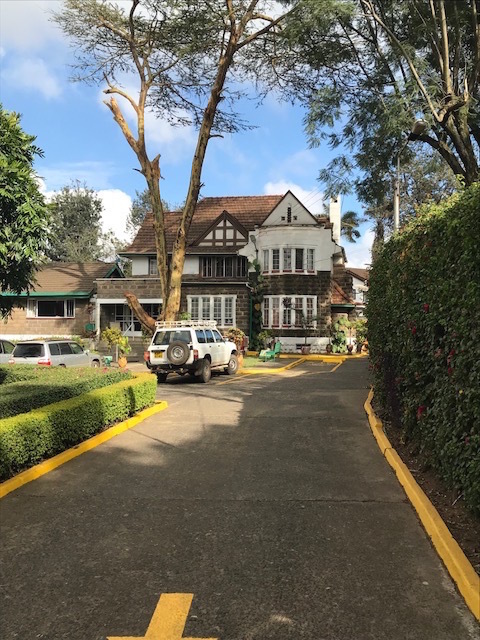 The Guesthouse is a place of respite for missionaries, mission teams, and others connected to the plethora of ministry efforts on the whole continent, but especially East Africa. It is always refreshing to spend a few hours there. We met a young family who has come to work at the hospital in Kijabe. Sarah is an OB/GYN who will work with the team at the hospital. John is a teacher who will care for their two daughters, Naomi and Abigail, for the year. 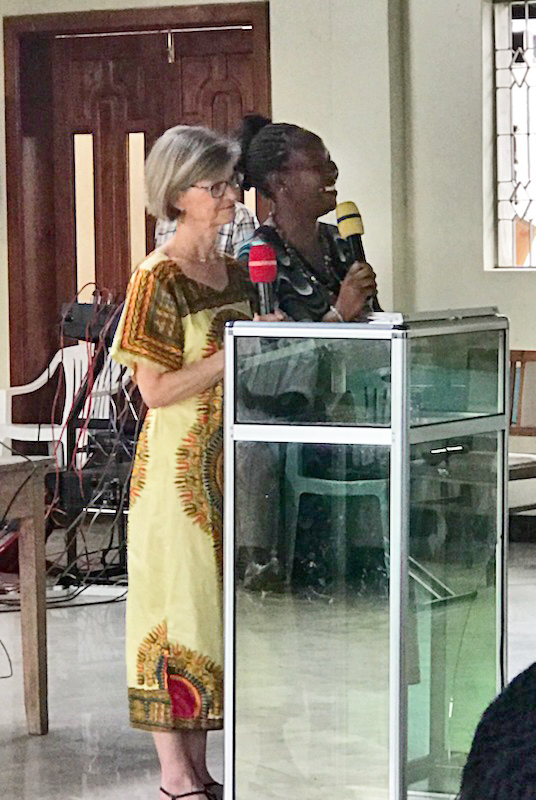 Two other young women were in Nairobi for a conference that focused on understanding indigenous culture and how to introduce Christian worship in places where the gospel is taking hold. They are working in an area dominated by Islam. It is one of those locations they are not free to disclose. It can’t be safe. I looked at these two young women and thought of John Piper’s book Don’t Waste Your Life. A life lived to the glory of God in obscurity is a life lived well. A life lived in the face of opposition is a life lived well. A life lived that could, conceivably, be a short life is a life well lived. I am always humbled when I meet people like these. But I am also encouraged and it excites me to SEE that “Aslan is on the move.” The Kingdom of God is advancing in the most remarkable of ways. Before you finish this message, pray for these folks! Tomorrow is a day of study and preparation at the Mara-Paradise Hotel. Please pray for that. 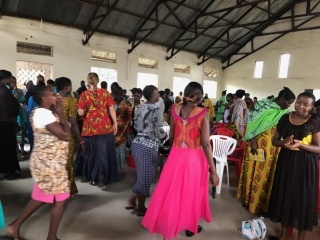 I will be teaching from a series entitled “How Big Is Your Gospel?” The gospel touches and transforms everything, and my hope is to encourage these pastors and wives so that, as they return to their villages, they will go with confidence and renewed energy. I would appreciate your prayers for them and for the conference. Many thanks. Wed. 8/1 11:00 a.m. Greetings again! Today began the conference with over 400 pastors and wives! The room was full. Standing room only! This is the 16th of these annual gatherings. It is hard to believe! I have known some of these faithful servants since 2003. Henry Kibite, Emmanuel and Catherine Machibula, Paul and Elizabeth Kasheto, Joseph Mahugiga, Josephine and Aljfayo Mugeta…it is incredibly sweet to greet them with the few Swahili phrases at my command: “Karibu sana! Habari za asubuhe! Bwana Jesu asifiwe! Mungu ni mwema wakate wote!” And it is remarkable that you can feel such an attachment to people whom you see once a year and with whom you have so little in common. But that is what the gospel does. It truly does create a fellowship that transcends geography, ethnicity, socio-economics, culture, etc. I’ve attached a couple of photos that should give you a feel for what we are experiencing. Tomorrow I will be visiting the medical clinic recently completed through the donations of generous folks from IPC. I’ll also visit several villages where water well projects have been completed. I’ll report on those visits tomorrow evening with pictures! Tutaonana! Thurs. 8/2 These young women carry these five gallon buckets of water for miles. 35-40 pounds. When a well comes the change is virtually impossible to measure. Mon. 8/6 11:00 a.m. Greetings fellow pilgrims. As I write this I am sitting in the Jomo Kenyatta International Airport in Nairobi, Kenya. This has been a very encouraging, poignant and, frankly, sad week. The annual conference with the pastors and wives was extremely encouraging. So many of the more than 400 in attendance made comments to Matt and me after the sessions we taught. Matt’s material was superb. He spoke from a variety of passages and touched a number of topics: the ministry of the Holy Spirit from John 14-16, forgiveness from Psalm 130, justification from Romans 3, drawing near to God from the book of Hebrews, and a wonderful ‘walk’ through John 4, the story of the woman at the well. My focus was on the freedom that we know because of the work of Christ and the hope we have in the prospect of the final restoration of all that was lost at the Fall. Matt and I agree that it was full and exhausting. Through the week we are intensely focused on preparation and the people we are here to serve. Honestly, the accommodations are tough, the food so so, and the language/cultural barriers tiring. When we leave we wish the time could be a bit more relaxed! But, oh, how powerful the time is…we both feel the deep spiritual benefit of being in a very different place, seeing the gospel of the kingdom manifest in the lives of these deeply committed servants of the King! That is the upside of the week. The downside was the retirement of Bishop Peter Kitula. I met Peter in January 2001. Our friendship began then. Since, I have made 15 trips to Africa. 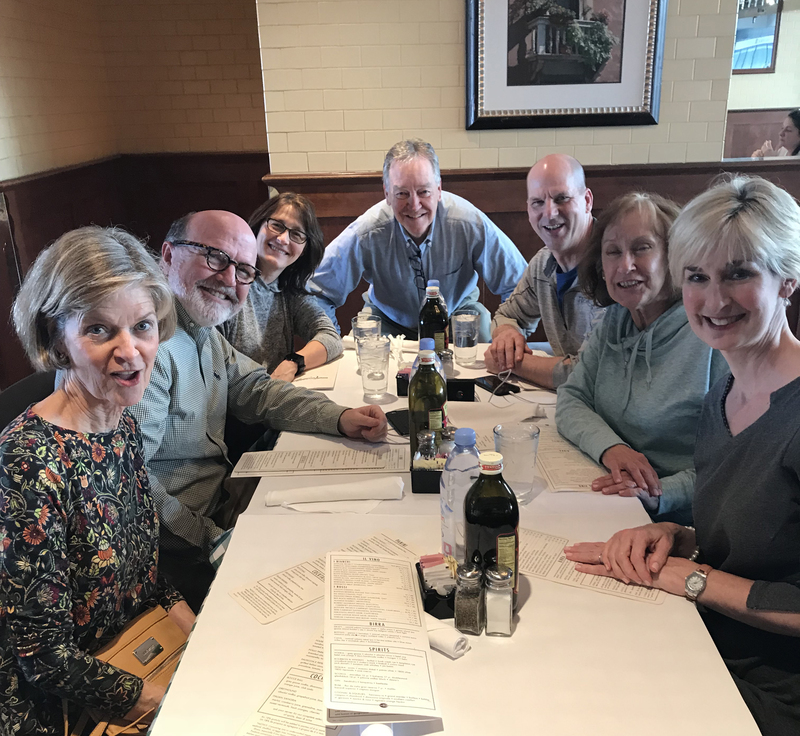 Peter has come to the United States several times, visiting our churches in Orlando and Vero Beach, as well as McLean Presbyterian Church (PCA), McLean, Virginia. I have had the privilege of knowing and working with a number of leaders in our denomination. I have never known anyone with the integrity, vision, humility, kindness, love for people, biblical knowledge, and passion for Christ and His Kingdom that I see in Peter. Peter studied in the States in the late 1980s. It would have been very easy for him to have stayed here. He had offers. 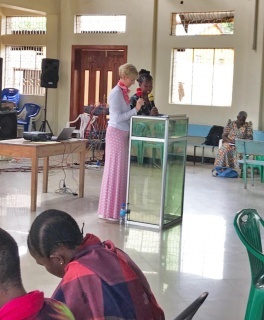 But he went back to his country; taught at Nassa Theological College, and then led the ministry to the youth for the Africa Inland Church-Tanzania because of his commitment to serving the next generations of Christians in Tanzania. He then became Bishop of the Diocese of Mara-Ukerewe in 1993. When he was officially retired yesterday, those of his students who were present included one current Bishop, dozens of pastors and scores of evangelists, and many, many others in various aspects of ministry in their church. I was invited to preach for this service. I am hard pressed to think of a higher honor than what was given to me on this occasion. I am not sure what will happen with our relationship to this diocese (our meaning mine and IPC’s). But if this ends up being ‘it,’ I will regard it as a chapter in my life of unparalleled blessing. I am so grateful to you who have helped this work in so many ways. I am grateful to Sean and Ed for supporting me in this. I am grateful to the Mission Committee for including Tanzania in its annual budget the last three years. I am so thankful for all of you who have given support to my vision for water wells, the medical clinic, and the annual Pastor’s Conference. I WISH that you could have been with us at the conference, at the clinic, and in the villages to see what you have done…to hear the stories these people tell…and to see the expressions of gratitude on their faces. Some day you will meet them. And then we will know what your faithfulness meant to the extension of the Kingdom in this remote place. God bless you all, and, again, thank you. Some of the pastors at Bishop Peter Kitula's retirement celebration. More than 600 people attended. (FEBRUARY 2018) Rev. 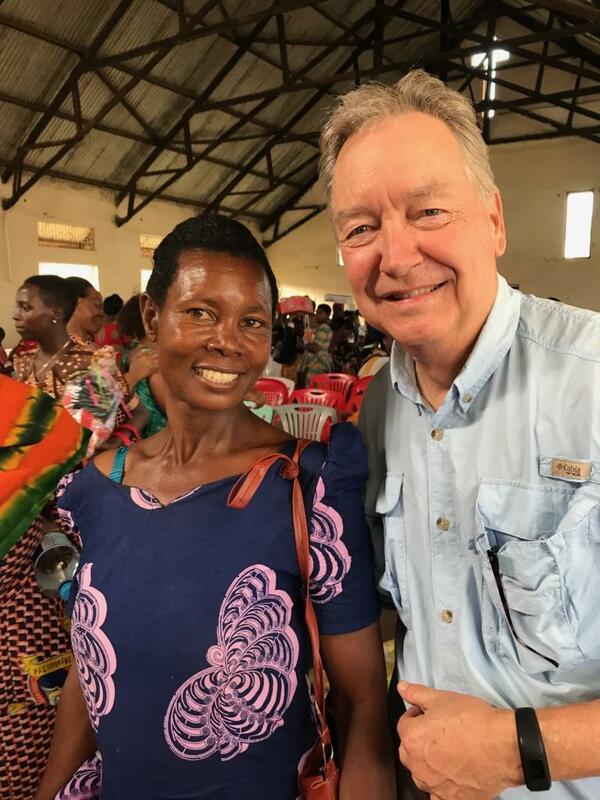 Mike Malone is leading a short-term mission to Tanzania, Africa, where a team from IPC will serve alongside the African Inland Church in Musoma, helping with a women’s Bible study, agricultural training, and women’s pre/post natal care. Joining him are Alicia Bartusch, Martin Fleming, Carole Jones, Barb Malone, Jim Wilder, and Paula Wilder. As Mike sends his updates during the trip, we will post them here. 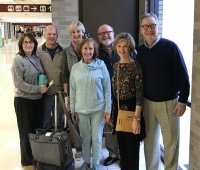 2/14 10:30 a.m. We all have arrived safely...at Memphis International Airport!! Our first leg is behind us! Departure for Chicago is minutes away. We are grateful for your prayers and will keep you apprised of our travels and ministry. let me show you around!! !’ Go Cubs!! Here for a few hours. Then on to Frankfurt at 6 pm. 2/15 8:30 a.m. Our travels from Chicago to Nairobi were without a hitch, other than a two and a half hour delay in Frankfurt, Germany. Winter weather closed the runways and the plane needed to be de-iced. Once underway, the flight was perfect. Having arrived at midnight local time after nearly 30 hours of travel, we all were ready for our stay at the Mayfield Guest House. The Mayfield is operated by the Africa Inland Mission and serves missionaries and other ministry-related travelers from across East Africa. The Africa Inland Mission is the fruit of the labors of Peter Cameron Scott, a Scottish-American missionary whose vision was to take the gospel to the interior of East Africa. Scott died at age 29 near Nairobi, but the team he brought with him continued the work. 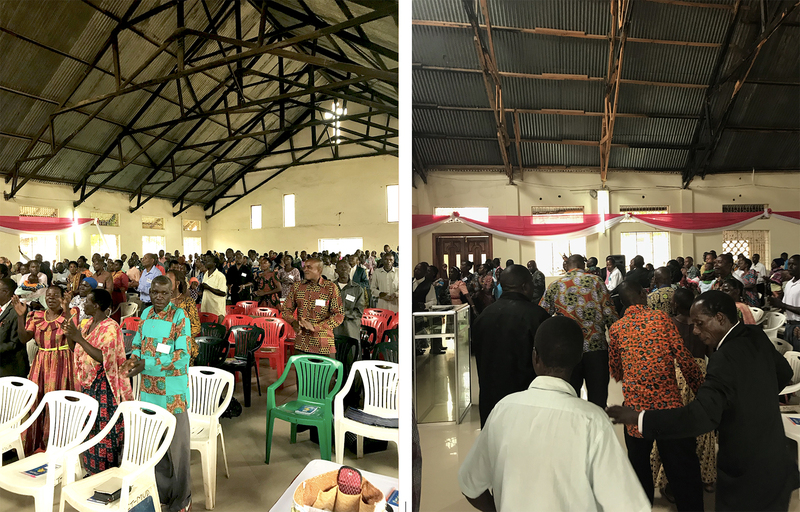 There are now indigenous denominations in Kenya, Uganda, and Tanzania that trace their origins to the work of The Africa Inland Mission. 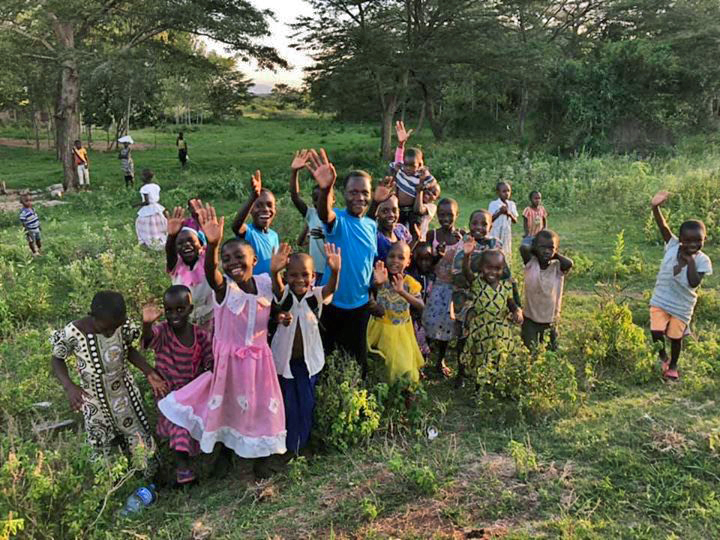 Our partners in Tanzania serve the diocese of Mara-Ukerewe, African Inland Church-Tanzania. Today is a ‘rest and recover’ day. 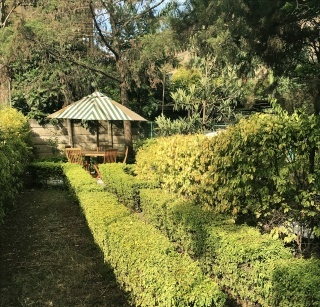 We plan to visit a couple of local nature attractions…the Rothschild Giraffe Conservancy and the Nairobi Elephant Nursery. There are three species of giraffe in East Africa. The least numerous and most endangered is the Rothschild giraffe. The small park we will visit is home to about 30 of these beautiful, elegant animals. The Elephant Nursery was established forty years ago by Daphne Sheldrick in memory of her husband, a British naturalist. The Nursery serves as an orphanage for young elephants whose mothers have died, usually victims of the ivory traffic. There is something deep in our bones, no matter where we live, or what our worldview, that moves us to care for the creation. As Christians, we understand why that is the case. It is fascinating to me that we simply cannot escape who we are as those created in the image of God, hard-wired to care for the world He has made. Blessings to you all, and thank you for praying. 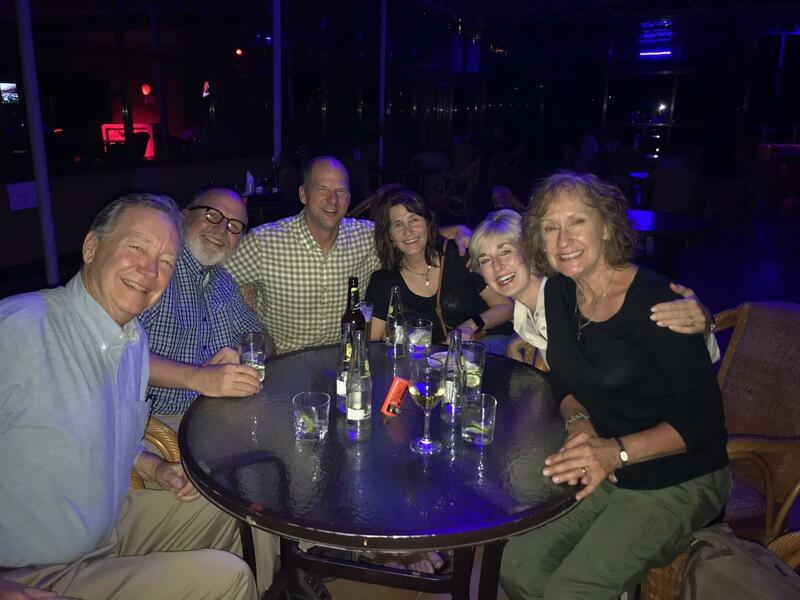 2/20 7:30 a.m. Greetings from Musoma, good Friends! 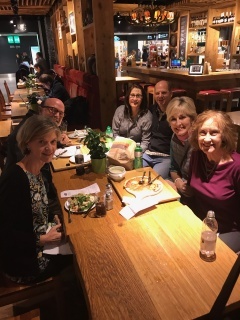 Our travel here has been, apart from a delay in Frankfurt, Germany, due to snow and ice, without any missed connections or immigration challenges. For that we are grateful. The week began with Sunday morning worship as we gathered with several hundred believers from the town at the main church here. I wonder…when was the last time you participated in a 4-hour service! And it wasn’t my fault! Even with translation my sermon was only 45 minutes. I think all of us were amazed at how quickly the time seemed to go by. It certainly was a joyous occasion. A great deal of singing and dancing from several choirs and much more congregational singing than we are accustomed to in the States. It really was a remarkable experience. Our afternoon was spent having lunch and resting. Later in the day we visited the diocese office and planned the week with the diocese staff. By the end of dinner, we all were ready for bed. A good night’s sleep was in order. Monday morning we returned to the diocese offices for their weekly staff worship time. I was invited to bring a message. Prayer followed, along with introductions, then we all toured the clinic. The next couple of hours were spent in town, exchanging money, shopping a bit, and visiting a seamstress and a tailor to have skirts and shirts made! 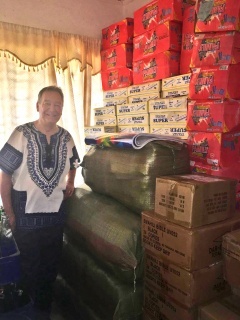 After returning to the hotel, we spent several hours working with the diocesan staff to prepare 220 gift bags for the women who will attend the conference. I am amazed and thankful for the many people who gave in order for us to present these women with this very tangible expression of love. The gifts will be presented on Friday afternoon. We look forward to sharing the stories of their response! Late Monday afternoon the team visited the village of Kiabakari, about thirty minutes from our hotel. This is one of the villages where a water project has been completed. It is impossible to convey the impact that having access to safe water makes in the lives of these people. Kiabakari is a village of about 7,000. Three neighboring villages totaling 9,000 are also served by this well. While not every person among the 16,000 can benefit, over 600 families per day come at least once for water. That number represents 5,000-6,000 people…they have large, multigenerational families here! 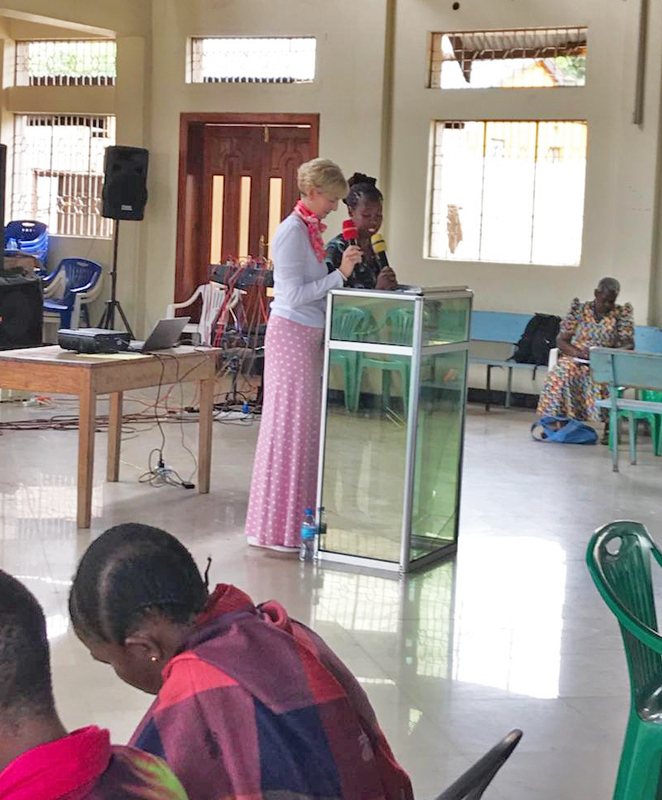 Today began the conference for the women, as well as work at the diocesan clinic and our efforts to learn about agricultural practices here. 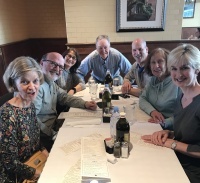 The seven of us were introduced at the conference, then Martin Fleming, Jim and Paula Wilder, and I left for our activities. Martin and Paula spent the morning at the clinic seeing patients. Jim and I spent several hours with the staff of the agriculture and forestry learning center, operated by the diocese. The goal of the center is to train local farmers in cultivation practices, which increase yield and ensure soil preservation. Over 2,800 people visited the center in 2017 to participate in classes and seminars that focused on helping them raise more food for their families and to sell. Jim was very, very impressed with what we saw. I, of course, learned more about soil, crops, crop rotation, yields, and farming methods than I could have imagined. It was a rich and encouraging experience. Please continue to keep us in your prayers! Even with power outages, plumbing issues, and spotty internet access, we are well and believe God is present to bless us! It is a remarkable thing. We westerners tend to think that we are the ones who have something to give. The reality is we are the ones who are on the receiving end of God’s goodness and grace as He encourages us through His people here. 2/21 7:00 a.m. Wednesday morning on Lake Victoria. 2/23 9:30 a.m. Dear good Friends! Thank you for praying for us and our activities of the week. I will try to summarize what we have been up to, impossible as it is to do! The centerpiece of our mission here is the Bible Conference for 220 women from about a dozen churches in the Musoma area. The diocese staff was a bit uncertain about the attendance since this is the first time a conference like this has been held. Happily, everyone who registered did in fact attend and they have continued to participate through the end of the week. The morning sessions were taught by Alicia Bartusch, Carole Jones, and Barb Malone. Their teaching focused on key women of the Bible who were used by God to accomplish significant work for the Kingdom. Each session was followed by a time of discussion, sometimes in small groups, sometimes as a whole. The interaction has been lively and very, very interesting! Tanzania is a patriarchal culture. Women are simply not valued. They work hard…much harder than most men. For the church to give them an opportunity to come together for study, prayer, and fellowship communicates to them that they matter. The closing ceremony this afternoon was a deeply moving experience for us all. The expressions of gratitude to the three teachers and the entire team were humbling. I think we all feel very much that we received a great deal more than we gave. In the afternoons, Martin Fleming and Paula Wilder offered sessions on general health and pre- and post-natal care. Tuesday focused on diabetes and blood pressure; Wednesday on pre- and post-natal care; Thursday on cancer screening. They, too, had good discussion following each session. Also, they were available for blood pressure testing and consultations with people having specific health questions. Tuesday morning, Martin and Paula spent at the diocesan clinic observing and seeing patients. A first phase of the clinic was completed in 2015. A second phase is under construction. When completed, the clinic will have two wards and the capacity to keep patients for continued treatment and observation. They will also have labor and delivery rooms. Due to lack of funds, it isn’t really known when they will be able to finish this phase. Thursday Martin and Paula spent the morning in the dispensary, a second, smaller facility operated by the diocese. Again, they observed the operation of the dispensary and saw patients. Many of those who come to these facilities have contracted malaria or cholera. Fortunately, medicines are available to those who come. Friday morning Martin and Paula visited the regional hospital operated by the government. At the end of the week, Maike Ettling, who manages the health care programs and the clinic/dispensary for the diocese, was effusive in her appreciation for Martin and Paula. I am so, so grateful to have them here. While the conference and medical work were going on, Jim Wilder and I were visiting villages where water well projects have been completed. 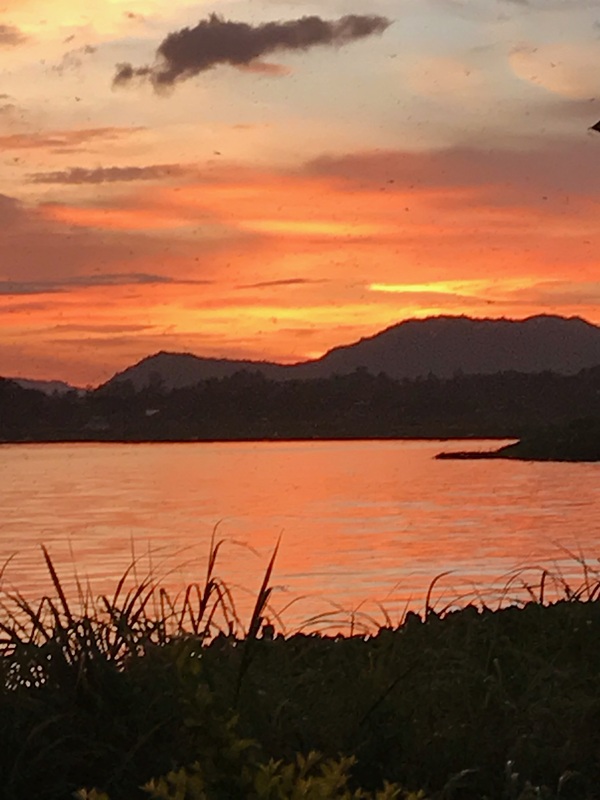 Three things emerge as consistent themes: First, women are profoundly grateful that they no longer have to walk three to eight miles each way for five gallons of water. Their lives are altered significantly by access to abundant, clean water. Second, in virtually every village, health is mentioned. Diarrhea and other water born diseases disappear. Third, the pastors of the churches in village after village tell us of the addition of new believers to their congregations. 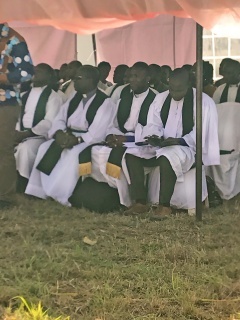 Several churches have been planted in connection with water well projects. A church we visited yesterday added 30 new believers by profession of faith in the last year. Today, a church we visited has added 20 new believers since the well was completed in August 2017. We also see water being put to use for growing vegetables and cotton. It has been a gift to interact with these brothers and sisters who are so thankful for the generosity of people in America. I will let the pictures tell the rest of the story. It has been a remarkable week of ministry. It has been a privilege to have represented IPC here among the people of Tanzania!!! Under the tarp are gifts for the conference women: laundry soap, sheet and pillow case sets, a case of multi purpose soap, a large piece of fabric, a Bible, and two song books (delivered secretly at 6:00 a.m. by Jim, Martin, and Mike, along with men from the diocese); lunch at the conference—lots of beans and rice. this water well serves 3,000 people and also has a watering trough for livestock. Visiting a well drilling site. 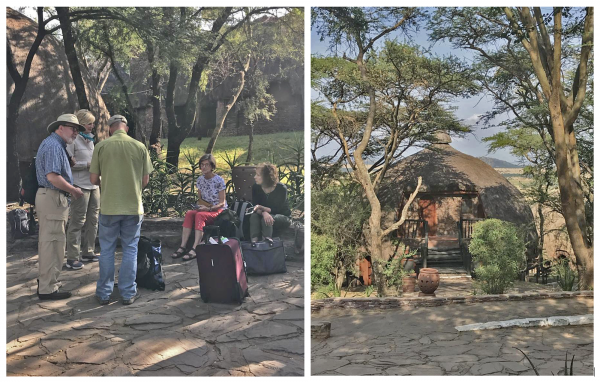 2/24 Our lodging in the Serengeti National Park. Heading out for a second day of seeing animals. 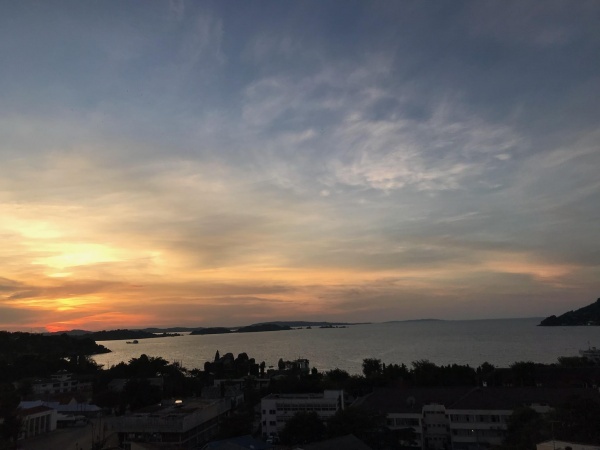 Then on to Mwanza where we spend the night before leaving for Home Monday morning. Some of what we saw in the park. 2/25 11:50 p.m. The view of Lake Victoria from our hotel. Ready for our long journey home. 2/26 7:30 a.m. The long journey home has begun. 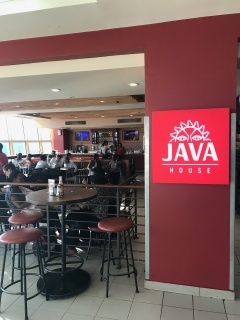 We are in Nairobi-Jomo Kenyatta International Airport. Have had a nice meal at a coffeehouse/restaurant. Next update...Zurich! 2/27 3:00 a.m. Two weeks together and we're still smiling!!! Two more flights and we're home.